Roy Huff is a prolific writer who has just released the fourth volume in his Everville fantasy series entitled “The Fall of Brackenbone”. As I write it’s already number one in various categories in six countries & ranked number 60 in all books in the US and Canada. The boxed set is currently #1 in anthologies in the paid Kindle Store. Clearly Roy’s a gutsy, off-the-scale intelligent guy who’s not only well-traveled but has accumulated a plethora of college degrees as fodder for his popular books. MF: The creative writing bug didn’t bite you until later in life. At what point did you decide to become a serious writer? RH: I was writing a paper for an English class, then the feedback I received was very positive, so I decided to turn the assignment into an actual book, and then soon after that a series. MF: Did discovering your creative writing side come as a surprise? RH: I had other creative talents such as drawing and singing. My father had drawing talent as well, so it wasn’t a complete surprise. What surprised me the most is how fast I’m able to write off the cuff. Last week Saturday I wrote 40 pages alone. I’ve written countless 30+ days, all with no outline. MF: Does your scientific background inhibit or enhance your creativity? RH: I certainly think my science background provides added background when I am writing, and it definitely helps with my speed. MF: Tell us a little about Everville. What was your original premise? Did you expect it to grow into a series? RH: So Owen Sage is a college freshman who is pulled into the fantasy world of Everville in book #1. He learns of how his world and the others are connected and works with various races and creatures across time and space to stop whatever dark force comes his way. After a few chapters through book #1, I decided to turn it into a series. MF: Who’s your favorite character other than your protagonist and why? RH: I still like The Keeper. His wisdom is great. He is a fatherly figure that I think most people will enjoy. MF: Of the four books in the Everville series which title was your favorite? Which was the most challenging to write? RH: I liked the last two books the most. I don’t want to give away too much of the story, but there are a few sub plots that carry the story into unexpected directions. I was really pleased when I finished writing it. MF: Do you plan to continue adding to Everville or start another story line? If so, can you tell us a little about it? RH: There will be 4 more books in the series. In each story, Owen must pass the test of one of the Pillars of Truth. This will continue, but the details remain yet to be written. MF: What part of the writing process is your favorite? Least favorite? RH: I like it most when I actually sit down and start writing. The writing flows. The thing I [like] least is actually sitting down and starting. It’s always that first step that’s most difficult, especially when you have a million things going on. MF: What advice do you have for aspiring writers? RH: Just start writing. Write as consistently as possible. Try writing everyday, even if it’s just a paragraph or a page. Do it first, before you start watching tv or doing something else, but take a nap first. Get a little rest and refresh your brain. Don’t let fear of not being good enough keep you from writing. You can learn along the way. Failure and bad reviews can teach us, but if you never actually sit down and write, you will never get anything written. MF: What’s your favorite activity when you need inspiration? RH: I like daydreaming or sleeping. Both are very productive when it comes to creativity. I do enjoy watching tv or movies or using random word generators at times, but sleep and thinking are the most effective. MF: Is there anything you want your readers to derive from your stories besides enjoyment? RH: There are some points of wisdom that can be gleaned from the story, but I’ll leave that to the reading. MF: Among your many travels do you have a favorite place? What about it enchants you the most? RH: Hard to say. I love London, Vancouver, Kobe, Honolulu, Seattle, San Francisco. All great places. I plan on traveling much more when I have the time. You can find out more bout him on his Amazon page bio. His book are currently on sale on Amazon so grab one now! My neighbor, Heike, and I had planned the night before to leave at noon for Costco about 60 miles away. The morning had been fraught with frustrations including spending over an hour on hold with Yahoo customer service. Two minutes before the appointed hour I hung up, hoping the issue was sufficiently solved as I grabbed my purse and headed across the street. I didn’t even want to think about what my blood pressure probably was. Before we got to the main highway we were startled by what appeared to be a very large black cat crossing our country road about an hundred yards up ahead. This was not a domestic cat, it was substantially bigger. There are cougars in our area but they’re not black. It had disappeared into the brush by the time we got closer so didn’t get a chance to identify it but definitely wondered what it could be. We’ll probably never know. We arrived without incident at our destination a little over an hour later where we each grabbed one of Costco’s massive shopping carts and proceeded inside. I think those carts are designed to make your purchase look relatively small, at least until you get to the checkout and see what that buggy full of goodies costs. Undoubtedly the store’s name derived from “cost cooperative” but “cost coercement” seems more appropriate. The store itself can best be described as humongous, Wal-Mart on steroids. So after about an hour and a half of shopping, we arrived outside with our bounty, wallets substantially lighter, and headed past the huge ocean of shopping carts toward Heike’s car. When I say “ocean” I’m talking about approximately ten rows, each fifty feet or so long, of stacked king-sized shopping carts, bordered on the side by several flat pallet-sized ones like you see at Home Depot. You know, the ones designed to carry case lots or huge purchases like wide screen TVs. As we walked past this metallic jungle what do we see but a kitten, standing by the outside row of carts and gazing out into the parking lot as if it intended to head in that direction. Those of you who know me are aware that I’m a cat lover. I have four ferals I care for, two Bengals I keep in the house plus my “grandkitty” who belongs to my daughter who’s staying here for a while. Heike has a total of eight, most of which are her own plus a neighbor’s cat who hangs out at her place and a recent new arrival. And a Chihuahua named Chica, who was waiting for us in the car. Needless to say, our hearts stopped when we saw this furry tragedy about to happen. Calling to the little fur ball at least temporarily deterred her foray into the parking lot, but then she hunkered down beneath the first row of flat carts. At least at this point we got a fairly good look at her, innocent green eyes peering up at us through a maze of metal. She was a beautiful little thing, mostly white long hair with a few random brown spots of various hues. Not surprisingly, we had 75 pounds of dry cat food between us, so it didn’t take long to put some of that out in a box one of the employees provided, informing us the kitten had arrived the day before. Obviously hungry, the kitten cautiously approached the box and started eating. I grabbed a new bath towel I’d just purchased, hoping to throw it over kitty and the box to catch her. After a few unsuccessful attempts, Heike took our purchases to her car and loaded them up, undoubtedly risking a hernia in the process, and while she was there allowed Chica to have a potty break. Numerous shoppers saw the drama in progress, some trying to help (but didn’t), others voicing our own thoughts of what kind of a horrible person would drop off a kitten in such a hazardous place. There are numerous no-kill shelters in the area making this strategy for getting rid of an unwanted animal entirely unacceptable. By the time I’d spent about an hour unsuccessfully trying to lure the little fur ball close enough to grab, Heike and I exchanged a forlorn look. At what point should we give up and abandon this precious little creature to what would undoubtedly be a horrific fate? About that time a beautiful young woman arrived on the scene. Tall, athletic, nicely dressed in a white blouse and black slacks, a single heavy blond braid snaking down her back. Heike and I exchanged another look, part hope, part skepticism, as the girl threw her carkeys and wallet on the ground, got down on her belly and inched toward the kitten’s shopping cart sanctuary. The kitten moved back, deeper into the buggy maze, by now about three rows in. The girl got up and shoved them out of her way, row by row. Clearly nothing was going to stop her. Again she was down on the ground, reaching toward the elusive feline. I snuck a peek at her driver’s license, her name obstructed but I could see she was 19 years old and a Leo based on her August birth date. As an astrologer, I smiled. Taking charge with total confidence and her graceful, athletic movements were true to her sign. The fact that Leo the Lion is also a feline, albeit a massive one, chimed in as well. It didn’t take long before our young heroine stood up triumphantly, kitten in hand. She cuddled it to her bosom and joined us, allowing us finally to pet the little kitty who had caused such a stir. She looked like she was probably about three months old. It was November. The kitten was probably also a Leo. Coincidence? Of course not. There’s no such thing. Heike asked her if she would keep it and she assured us she would, that their cat had recently disappeared and her mother would know what to do to take care of it. With heartfelt gratitude we praised her efforts and compassion then at long last headed home, knowing one discarded kitten would have a warm bed that night. As we left the parking lot and turned onto the access road to the highway I saw the heart-wrenching remains of what was probably one of her siblings who would not be so lucky. I closed my eyes and didn’t mention it to Heike whose heart is more tender than mine. Yet I’ll be forever unable to forget it myself. The question still lingers: How can people be so cruel? Is it any wonder the world is in the state it is? Drug ads are already outlawed in Europe. It’s always so ridiculous to hear the TV ads where there are a few seconds of benefits followed by a litany of side effects. This totally makes sense to me. Drug costs have skyrocketed in the last year-plus, causing outrage and fueling debates on both sides of the political aisle. The American Medical Association has taken the unprecedented step of calling for a ban to drug advertising direct to consumers, as part of a plan to bring down drug costs. NASA has been studying the effects of microgravity for years and trying to find countermeasures. Astronauts are spending a year aboard the International Space Station, and researchers are looking at what happens to their bodies at the molecular level. I thoroughly enjoyed “Papala Skies” by Stephen Geez and was very happy when I won “Invigilator” as part of a blog tour. It sounded like the kind of story I’d enjoy, i.e., laden with conspiracy theories and fun stuff like that. As soon as I started reading I was awed by the level of detail. Clearly the author knows his stuff. He definitely pulls you in with outstanding imagery and action, right down to the model of the various weapons and ammunition. I live in Texas and so much of what he said was familiar, since I’ve been to several of the locations he mentioned. The Southern mentality was on-target and made me feel as if I were a part of the militia depicted. The characters were convincing and real as well as their respective attitudes and motivations. The dialog was appropriately drawn with bad grammar sprinkled with slang such that I could almost “hear” the conversations, which sounded like something I might overhear in the local Walmart. For all these reasons, all of which are related to the skilled writing style of the author, I initially gave this book 5 stars. But at this point, after thinking about it, I have dropped it to 4 stars. Without getting into spoiler territory, I will say I was greatly disappointed in the ending. Considering the level of detail throughout the story, one of the most important plot elements was never explained as I expected. There also seemed to be a few contradictions, e.g., in one place it said something didn’t or couldn’t happen then later it did without explanation of how that occurred. There were too many matters that were dealt with using implications that were a little too foggy and undefined for my reading tastes. I’m a hard sci-fi fan who likes to know the how and why of things, which weren’t ever included. This might not bother someone who doesn’t care about those type of details and is happy to draw their own conclusions. For me it was lacking. If all you’re looking for is lots of guns and ammo and explosive descriptions packaged in a prepper attitude, then you’ll probably be perfectly happy. I assume this book will ultimately become the first volume of a series. If that was always the intent, it should have been stated as such. That way I would not have expected a satisfying ending with adequate closure and explanation of the various mysteries presented. There is certainly plenty of room for a sequel where all these things could be explained. The way it stands left me disappointed and frustrated that I’d plowed through the book expecting answers that were never delivered. One last thing. I also think the book deserves a better cover. While the existing one captures the essence of the story at the technical level as far as the action and basic plot are concerned, it really doesn’t do it justice. There seem to be more and more of these “close encounters” with asteroids lately. Hopefully it’s only because our detection methods are improved. Still a little scary, one way or the other. This one was discovered on Saturday, closest just hours later, this small asteroid came closer to Earth than weather and television satellites orbit. 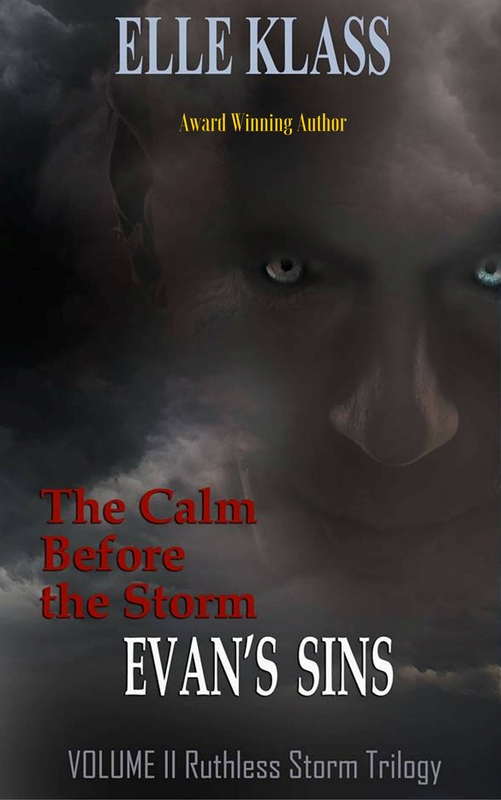 If you like extreme suspense that lingers somewhere in the dark with The Twilight Zone, Alfred Hitchcock and Mary Higgins Clark, then you need to check out Elle Klass’ latest chiller, Calm Before the Storm: Evan’s Sins. There were parts of this book that were simply too much for this faint-hearted reader to handle! There were a few scenes I contributed to via my Whobeda persona. I had fun doing this interview for Elle’s blog with the fictitious Whobeda which you can find here. After we discovered that astrology works on fictitious characters (see my previous blog on the subject here) Elle decided what we’d discovered was too good not to include in the book as part of its occult angle. Stay turned for an excerpt that contains some of the results. It wasn’t originally intended to be a blatant plug for my book, Whobeda’s Guide to Basic Astrology, but it turned out that way. In fact, the reason it’s now available in print as well as an ebook is because Elle wanted to give away an autographed copy as part of her book launch activities. Talk about motivation! 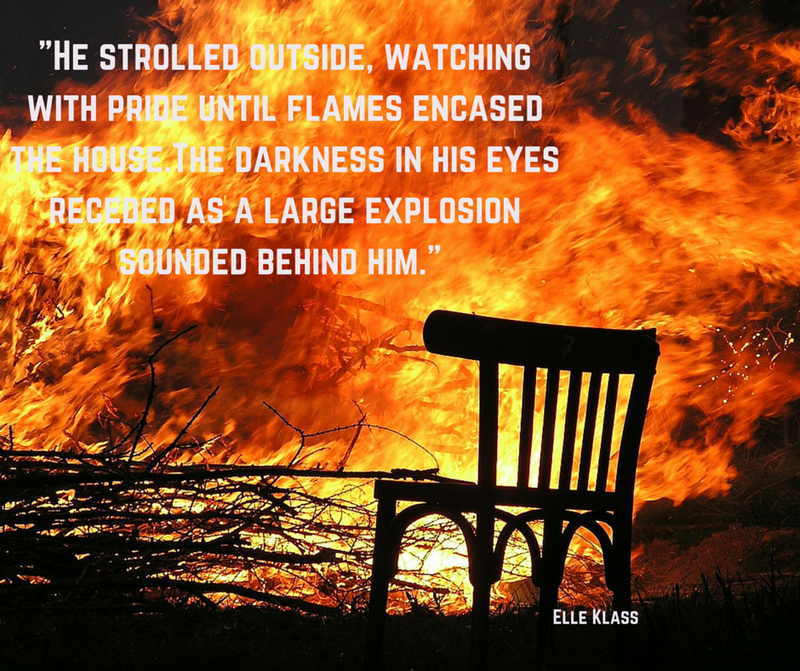 Visit her website at https://elleklass.weebly.com. Evan O’Conner isn’t a normal child. His father’s alcoholism and mother’s abuse drive him to concoct a plan to rid his life of them permanently. The night is fraught with a horrendous storm, thunder and lightning as the beast inside him is born. Even in her death his mother won’t leave. She haunts his subconscious as he attempts over and over to kill her. Evan meets his match when Officer Burkhalder enters the picture. One of her closest friends and his family fall victim to violent deaths during the worst hurricane Billows Hollow has ever seen. With only a sketch she learns the identity of the perpetrator and digs into his life, pries into his past – hunting him. Will she stop him? Or will somebody else? Eilida yelped at the chance to make the OPA conference and her chance to meet nationally renowned Patrice Renard. 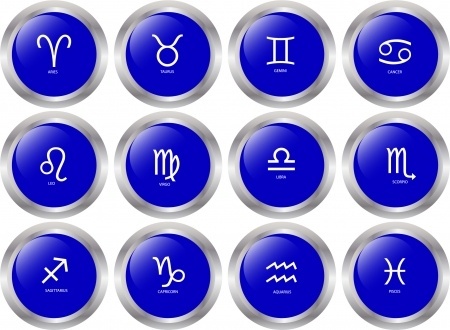 The 9th annual professional astrology retreat in Myrtle Beach, South Carolina. She flew down the stairs and flopped her body on the couch next to Sage. Leaning her head against her friend’s shoulder she blurted her news. “I did it. We’re in!” She lifted her head to gauge Sage’s response. “OMG!” The two women leapt off the couch and jumped up and down like two school girls going to see their favorite band. Both women believed there was more to life, something brewing beneath the surface, or in this case above the surface – dictated by the stars and planets of the vast universe. Sage and Eilida arrived at the convention center and took the nearest escalator to where the conference was being held. They stepped inside the vendor room, eyes soaking in the activity around them. The huge room was divided into several aisles with more vendors lining both sides as well as the perimeter. Astrology related materials, from jewelry to crystals, were everywhere. As they strolled the aisles, Eilida tried not to be too obvious ogling the name badges of those around them, looking for someone whose name she’d recognize. Some astrologers looked appropriately weird in long, flowing skirts matched only by their hair, with more rings than fingers while others were in jeans and others still in business dress. The men were mostly in casual dress, though one in particular was wearing a kilt. Her eyes took in his strong, muscular legs and sent a quiver bounding through her as she imagined the kilt tossed on the arm of a chair and… She shook the image from her mind. The pair perused the plethora of goodies, Eilida dragging her friend by the hand when she saw a crystal table, spending a good bit of time examining the many offerings. She felt drawn to certain ones, slips of cardstock the size of a business card accompanying each one describing the stone’s influence. She stood there a while, admiring one in particular for its odd shape. The card said it was a desert rose, good for transmuting hatred into love and healing past conflicts. She took it in her hand to see how it felt. It felt good but she could see the vendor guy was occupied with other customers so set it back carefully, deciding to come back later. Another table caught her eye, this one apparently occupied by an astrologer. The lady behind it had shoulder length salt and pepper hair, maybe a bit more salt than pepper. Her genuine smile and attentiveness to those talking to her attracted Eilida. While other patrons talked to the astrologer Eilida browsed her books, one of which was entitled Whobeda’s Guide to Basic Astrology. She picked it up and flipped through the pages, reading sporadically. As much of an astrology buff as she was, most of it really confused her. Written in terms that made sense, Eilida decided to buy one and waited in line to get it autographed. At last it was her turn and she handed over the book, grateful no one was behind her so she could chat a bit. Eilida laughed. “I wouldn’t do that!” she responded. “Yes, you would,” Sage muttered, giving her a friendly nudge. For most people Veterans’ Day is just another day where the banks are closed and the U.S. Postal Service doesn’t deliver mail. If you work for the government, a financial institution or a few other employers you probably get the day off and might get an early start on your holiday shopping or simply relax. Most schools don’t take it off, probably don’t even mention its significance. You might remember to fly the flag, provided you’re not one who now finds it offensive. Numerous shows on TV such as the History Channel broadcast documentaries related to various wars, which you may or may not watch. If you know a veteran from a past or present war it probably means a little more. What does this day mean to you? For me it’s a time to remember those I know who have served or are serving in the U.S. Military. I usually remember to put out my flag. My father was in the U.S. Navy during World War II. He’s pictured below, the one in the center, with two buddies in a restaurant in Oakland, California on February 8, 1944. Rather than being onboard a battle ship, however, he was in the Seabees, a name easily derived from the acronym, CB, which stood for “construction battalion.” Their function was to build infrastructure throughout the South Sea islands of the Pacific in preparation for military operations. My first geography lessons comprised my father using a globe to point out the numerous islands he’d served on in the South Pacific. American Samoa. New Hebrides. Hawaii. Okinawa. As a child I never appreciated those stories as much as I do now. He took these pictures while overseas which give some idea of the cultures that were impacted by the war with Japan. Islands populated by those embracing a primitive life style who probably had no comprehension of why their peaceful lives were suddenly disrupted by the U.S. military. The little boy with the pig, the children with the old woman holding a baby, all tell a story. My father came home from the war alive and in one piece, which was more than thousands could say. I don’t know which island the cemetery below happens to be but it, too, tells a story. How anonymous all those white crosses seem, yet each represents a son, husband and/or father who never made it home. My father’s military service was the highlight of his life. For years following the war he made it a point to attend Seabee reunions, wherever they might be. After he died, my mother received condolences from those still living. As a child I remember attending a reunion in Pittsburgh, not quite understanding who those people were or why they were so important to my father. Now I do. Years later, on Veterans’ Day in 2004, I would visit the U.S. Military Cemetery in Luxembourg, one of many in Europe where American soldiers are buried. All we ever asked of the countries we defended was for enough land to bury our dead. The picture at the top of this post is of the inside of the Luxembourg memorial building, the outside of which you can see at the end. It was a sobering experience to see more white crosses representing so many lives lost. Row upon row upon row. It was touching to see how much the Europeans appreciated our service. Every year on Veteran’s Day the government of Luxembourg honors General George S. Patton by placing flowers on his grave. There were several monuments of thanks erected to the U.S. Military as well, such as the one shown below, also in Luxembourg. I’d never heard that much about the war in Europe since my father served in the South Pacific. I find it ridiculous looking back that we never studied WWII in school. Somehow the American history books for that time stopped before World War I. Certainly nothing about WWII, nothing about Korea, even as we were stepping into the Vietnam conflict. No wonder everyone thought history was boring. It had no relevance to our lives. No wonder Baby Boomers rebelled. They say that those who fail to learn from history are doomed to repeat it. How ironic that more recent wars, much less current events, are not explained and taught to those growing up in the aftermath. The most relevant conflicts are ignored rather than explaining how they developed. How stupid is that? No wonder we continue to fight. Or are we ashamed to admit what some wars were really all about? I suppose there’s enough commonality in all conflicts that the details at a certain level don’t matter. All wars are about dominion, power and control. Some despot decides that his view of the world needs to be imposed on others. In some cases resources or land plays a part, another symptom of greed that demonstrates a total lack of regard or respect for others. People will obviously fight for what they believe in or if someone else wants to take something away that they value. No one wants to be forced to believe something with which they don’t agree. And I must admit that though I like to consider myself a pacifist, if someone suggested eliminating all those who want to take away my freedom, property or anything else, I’d be cheering them on. Like Bill Pullman said so eloquently in the movie Independence Day, “Nuke the bastards!” I believe we should live and let live, but ironically that only applies to those who share that belief. So I suppose I’m not that much different than anyone else. One thing worth noting is that in astrology politics and religion fall within the same house along with all other belief systems. Other cultures and faraway places are also included in the 9th house as well as academia and various other things. Spirituality is covered by an entirely different house, which says a lot about so many so-called “religious” people. I always liked the thought that “Going to church doesn’t make you a Christian any more than standing in the garage makes you a car.” But I digress. Who really benefits from war? Do the spoils really go to the victors? Both sides lose precious lives and suffer death and destruction. On that Veterans’ Day in 2004 that I spent in Europe we also visited German cemeteries. Hitler’s obsession didn’t only kill those he murdered in concentration camps. Untold numbers of his own people also died. Soldiers fighting for what they were forced to believe in or die as well. Were they any less victims of a tyrant? I have a neighbor who was born in Berlin, Germany in 1943, around the time they were being bombed heavily by the allies, a.k.a. the U.S. She grew up playing on piles of rubble, the remains of bombed out buildings. Her father fought in the war, was a prisoner in Russia for several years until he escaped and eventually made his way home. He’d been gone for seven years. I find it entirely incomprehensible what they must have gone through. I suppose my generation’s war was Vietnam. There have been several since, mostly in the Middle East. While both World Wars focused on political ideologies, too many since have born shades of President Dwight D. Eisenhower’s warning regarding the military-industrial complex. Wars are expensive which means they’re profitable to certain industries. Bullets, rifles, uniforms, airplanes, tanks and so forth cost money. Big money, which benefits those who have no regard for their fellow citizens, particularly the upcoming generation who are inducted into the military and sacrificed on the altar of greed. Fighting to defend one’s freedom is one thing; getting involved in a foreign war to make money for a chosen few is quite another. The Europeans appreciated what the U.S. did for them while other conflicts in which we’ve become involved have not resulted in anything but hatred for Americans. Is it any wonder some countries see us as intrusive and violent? A self-appointed world police force? Mercenaries at the beckon-call of the elite? Our soldiers were willing to sacrifice their lives based on the pretense of fighting for others’ freedom. My personal opinion is that in most cases we should mind our own business. Defend our borders, but live and let live. Or die, as the case may be. Yet we live in an increasingly hostile world where it’s unbelievable how many cultures indoctrinate their youth to be warriors at an early age. Need I remind you that’s what Hitler did, too? Many of us do the same thing, starting with G.I. Joe. Teaching the principle of defending your own freedom is one thing; taking it away from others is quite another. For some cultures, that’s what it’s all about. And you know exactly who I mean. No matter how much they have it’s never enough. It’s too bad there’s no day in sight when we’ll live on a peaceful world other than that mentioned in post-apocalyptic scripture. In such a future time and place Veterans’ Day would honor those who fought only in the past. Until that day comes, there are veterans, past, present and future, all around you. Make it a point to thank as many as possible for their service today.